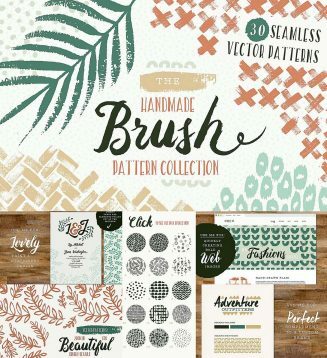 This set includes stripes, dots, florals, palm leaves, herringbone, chevron, leopard print, waves, and lots more! It’s a great combination of patterns that can be used as a bold statement piece or as a subtle texture in the background. File format: .eps, .ai, .png for Photoshop or other software. 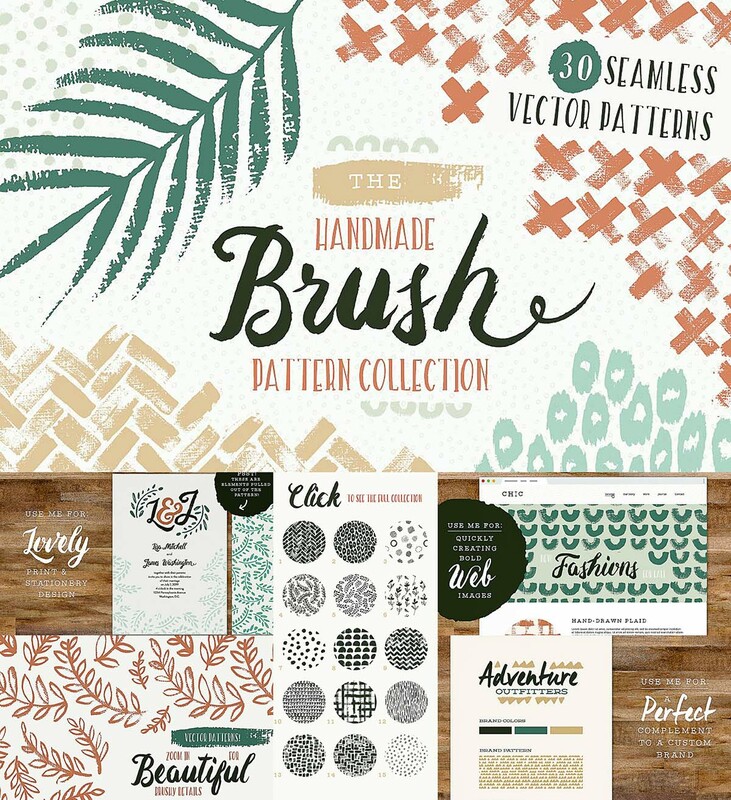 Tags: brush, dots, essential, floral pattern, geometric, hand drawn, organic, raster, stroke, tropical.